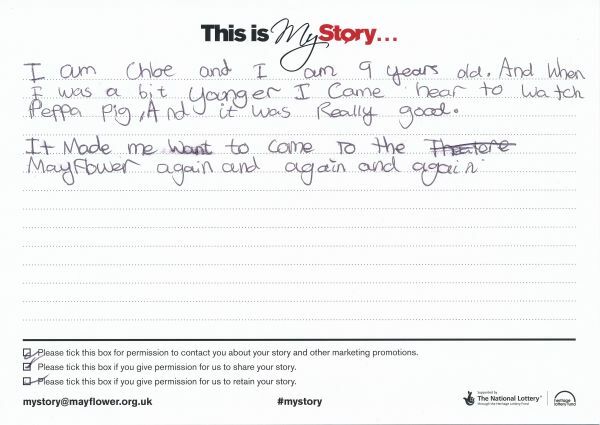 My Story card: Chloe remembers seeing Peppa Pig. I am Chloe and I am 9 years old. And when I was a bit younger I came [here] to watch Peppa Pig, and it was really good. It made me want to come to [the] Mayflower again and again and again.